Corey Lyon and Shannon Langner are with the university of Colorado Family Medicine Residency, Denver. This affordable, OTC hormone is as effective as amitriptyline, causes fewer adverse effects, and may have a surprising added benefit. 1. Gonçalves AL, Martini Ferreira A, Ribeiro RT, et al. Randomised clinical trial comparing melatonin 3 mg, amitriptyline 25 mg and placebo for migraine prevention. J Neurol Neurosurg Psychiatry. 2016;87:1127-1132. 2. Silberstein SD, Holland S, Freitag F, et al. Evidence-based guideline update: pharmacologic treatment for episodic migraine prevention in adults: report of the Quality Standards Subcommittee of the American Academy of Neurology and the American Headache Society. Neurology. 2012;78:1337-1345. 3. Lipton RB, Bigal ME, Diamond M, et al; The American Migraine Prevalence and Prevention Advisory Group. Migraine prevalence, disease burden, and the need for preventive therapy. Neurology. 2007;68:343-349. 4. Silberstein SD. 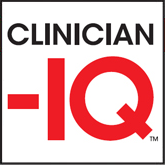 Practice parameter: evidence-based guidelines for migraine headache (an evidence-based review): report of the Quality Standards Subcommittee of the American Academy of Neurology. Neurology. 2000;55:754-762. 5. Alstadhaug KB, Odeh F, Salvesen R, et al. Prophylaxis of migraine with melatonin: a randomized controlled trial. Neurology. 2010;75:1527-1532. A 32-year-old woman comes to your office for help with her recurrent migraines, which she’s had since her early 20s. She is otherwise healthy and active. She is frustrated by the frequency of her migraines and the resulting debilitation. She has tried prophylactic medications in the past but stopped taking them because of the adverse effects. What do you recommend for treatment? This RCT, conducted in Brazil, compared the effectiveness of melatonin to amitriptyline and placebo for migraine prevention in 196 adults (ages 18 to 65) with chronic migraine.1 Eligible patients had a history of at least three migraine attacks or four migraine headache days per month. Patients were randomized to take identical-appearing melatonin (3 mg), amitriptyline (25 mg), or placebo nightly. The investigators appear to have concealed allocation adequately and used double-blinding. The primary outcome was the number of headache days per month, compared to baseline. Secondary endpoints included reduction in migraine intensity, duration, number of analgesics used, and percentage of patients with more than 50% reduction in migraine headache days. Compared to placebo, headache days per month were reduced in both the melatonin group (6.2 d vs 4.6 d, respectively; mean difference [MD], –1.6) and the amitriptyline group (6.2 d vs 5 d, respectively; MD, –1.2) at 12 weeks, based on intention-to-treat analysis. Mean headache intensity (0-10 pain scale) was also lower at 12 weeks in the melatonin group (4.8 vs 3.6; MD, –1.2) and in the amitriptyline group (4.8 vs 3.5; MD, –1.3), compared to placebo. Headache duration (hours/month) at 12 weeks was reduced in both groups (MD, –4.4 h for amitriptyline and –4.8 h for melatonin), as was the number of analgesics used (MD for amitriptyline and for melatonin, –1) when compared to placebo. There was no significant difference between the melatonin and amitriptyline groups for these outcomes. Patients taking melatonin were more likely to have more than 50% improvement in headache frequency compared to those taking amitriptyline (54% vs 39%; number needed to treat [NNT], 7). Melatonin worked much better than placebo (54% vs 20%; NNT, 3). Adverse events were reported more often in the amitriptyline group than in the melatonin group (46 vs 16), with daytime sleepiness being the most frequent complaint (41% of patients in the amitriptyline group vs 18% of the melatonin group; number needed to harm [NNH], 5). There was no significant difference in adverse events between melatonin and placebo (16 vs 17). Melatonin resulted in weight loss (mean, –0.14 kg), whereas those taking amitriptyline gained weight (+0.97 kg). U.S. immigration policy: What harms will persist? Intake of Vitamins and Minerals Is Inadequate for Most Americans: What Should We Advise Patients About Supplements?